The characters are well rounded, well developed and three dimensional. I enjoyed getting to spend more time with Meg, Jill and Matt, her best friends. I liked the fact that they are always ready to get together, whether it is to have fun or to try to solve a murder. You can tell that they have been friends for a long time and would do anything for the other. Gam, Meg’s grandmother, is quite the character, and Meg relies on her to bring sense to whatever is happening in her life. We also got to spend some time with Meg’s mother, and although they do not always get along well, in this book we see Meg start to soften towards her mother. The author is very talented in her descriptive writing and through most of the book, I felt like I was right there, watching all the action taking place. 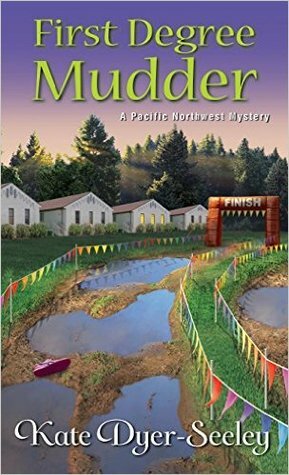 The murder mystery is well plotted and there were enough suspects, clues, twists and turns to keep this reader guessing until it was revealed at the end. There is also a mystery revolving around Meg’s dad, Pops, and his death. This mystery has been carried on throughout all of the books and we got a little more insight and clues in this book. I like having a mystery carried on throughout a series. I would recommend this book to anyone who enjoys a well plotted cozy mystery. I have read all four of the books in this series, and I have really liked them all. I think you will too.